“And now, not surprisingly, Dreamworks, its parent company Viacom and Universal Pictures, is being sued for creating an unauthorized remake. The defendant in the case is not exactly related to Hitchcock’s film, though; the lawsuit was filed by Sheldon Abend Revocable Trust, which owns the rights to Cornell Woolrich’s original short story “It Had to Be Murder” (called “Murder from a Fixed Viewpoint” in the article), upon which Rear Window is based. 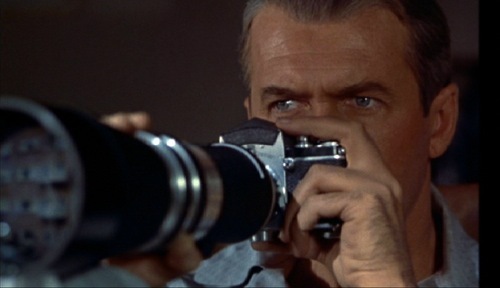 Rear Window is in my top 10 films of all time and my disgust when I saw Disturbia in the cinema was very high indeed. Basically it was just Rear Window for dummies, a modernization of a story that didn’t need to be so. If you wanna’ experience this story then go and bloody watch the original Rear Window (or in the studios case just re-release it in cinemas) instead of hashing out a modernized, gadget-filled piece of crap that’s only real merit was David Morse as the villain (which was down to him as an actor being awesome and not necessarily the film). If this company had the rights to this story and Dreamworks did this story without acquiring what should be known as “rights to a remake” then they have every right to sue the hell out of them. I urge anyone who hasn’t had the pleasure of seeing Rear Window to go and watch that and do not watch it’s modern-day, infinitely inferior remake that is Disturbia. Host: So thumbs up on The Watchmen, what else you got? Smith: I saw a movie last night that I cannot talk about. Host: Any stars, any break out stars, and do they trek? Smith: The stars absolutely trek in this film. It is fantastic. Anybody who was worried doesn’t need to be worried–about this film I cannot talk about…It was in very capable hands. The director did a phenomenal job–the director and his crew. Top notch cast and the guy that plays the lead is an instant star. That dude is going to be so famous. He is so wonderful. He picked up a role that I would say is pretty challenging for someone to step into the shoes of, because it is a role that has been played before many times by the same guy. Host: How do you out Shatner, Shatner? Smith: I don’t know what you are talking about. Host: I was just saying that as an expression. Smith: Yes, absolutely, in a world of expressions, I would agree with that…I am so not good with this game, you are going to bury me man. Host: We had you on before The Dark Knight and I remember asking you if you could direct a movie like Dark Knight and you said ‘hell no’ it was so far out of your sphere…but I bring that up to preface this. 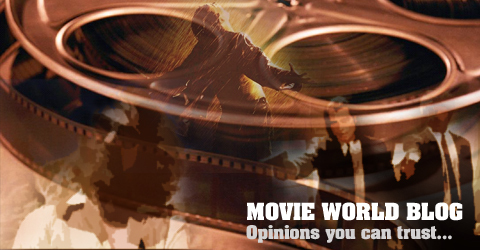 Let’s say a franchise like Star Trek, not that you have seen the movie or we are talking about the movie, but we are talking about it for example. That is something that is so dangerous to attempt. Is that the kind of project you would like to do? Would you like to be the guy who gets to do a movie like that? Smith: I would not like to be the guy. In the case of something like Star Trek, it would take a really insanely talented filmmaker–storyteller. Like in the case of Star Trek, JJ Abrams. So leave it to the people who are best equipped for it. I am just the guy who should be watching those movies. This is very good news indeed. As someone who is not at all a fan of Star Trek (I’ve never seen any of the movies and can only vaguely recall the TV series) I am strangely very much looking forward to J. J. Abrams’ takes on it. Since he was one of the people who originally brought us my favourite TV show of all time, Lost, and he was the man behind the insanely fun and original monster movie Cloverfield, I subsequently have every confidence in the man that he is going to give us something special with this. In my following of the man, Smith has always been someone who’s early opinion of a film has been very trustworthy. I suppose since so many people love his films, filmmakers seem to want to want to show him their movies before pretty much anyone else. They also know that the general movie going audience, those who will end up seeing the movies, see Smith as a movie god and know that people will listen to his opinion. I am certainly one of those people. Warners and DC (both Time Warner entities) have labored in vain over another Superman, and launches for Wonder Woman, The Flash, Green Arrow and Green Lantern. It’s maddening for fans as rival Marvel Comics has successfully begun financing its own slate of pics, first with “Iron Man,” then a reboot of “The Incredible Hulk” this summer. It seems that DC have been shaken by the surprising success of Iron Man (and The Incredible Hulk; although ‘success’ regarding that is maybe pushing it a bit) , and by the very fact that Marvel has started their own company and seem to be going full steam ahead with it. Having said that they have had, and still are having, major success with a little film called The Dark Knight. As far as future DC projects go there are some I look forward to seeing on the big-screen but others I couldn’t care less about either way. Wonder Woman and Green Arrow fall very much in the latter category (with Wonder Woman especially being one I can’t see any appeal or general market for). But I would be intrigued about the other two – The Flash and Green Lantern, particularly the latter. I mean for any of you who may not know his power is that he has a ring which allows him to produce effects of undefined power or abundance, it only being restricted by his own willpower. To me that is a very interesting power to portray on-screen and out of possible future DC projects this would be the one I would be most interested in seeing. “In a surprise move, Warner Bros. has moved the release date of “Harry Potter and the Half-Blood Prince” from Nov. 21 to July 17. Warners president Alan Horn blamed last winter’s 100-day WGA strike in large part for the shift, suggesting all the major studios have been hurt in the development of new tentpole films for next summer. Wow, I wasn’t expecting that at all. I mean I can understand something like Prince of Persia being put back (since it’s not already a successful franchise) but a film that’s part of such a big franchise as this being shoved back almost 9 months? That is not good news. Who knows what the real reason for the move is; I am going to go with the stated one of it will make more money that way (probably trying to reach closer to the level of the box-office monster that is The Dark Knight too). I’m sure it has nothing to do with the quality of the movie…or does it? We shall find out when Harry Potter and the Half-Blood Prince gets its release on July 17th 2009. Well it’s official. Brad Pitt will star in Tarantino’s latest film set to be filmed in October of this year. At the moment he’s the only confirmed star and as Empire reports: Simon Pegg is in talks to play a British Lieutenant, Nastassja Kinski has begun negotiations to play a German movie star and David Krumholtz is likely to join the cast as well. This is shaping up to be a classic Tarantino cast and hopefully another great Tarantino film. The Inglorious Bastards ranks continue to swell with Brad Pitt now officially signed on to play a Tennessee hillbilly who leads a band of eight Jewish-American soldiers to take out some rough justice on the Nazis. Tarantino is set to begin shooting in Germany on October 13 and is still planning to have the film ready for next year’s Cannes Film Festival. As Empire says; it sounds like a incredibly tight deadline but I’m sure it’ll work.